One of the lovely things about swimming outside is that you are submerged in the natural world. It doesn’t even have to be in a lake or river. 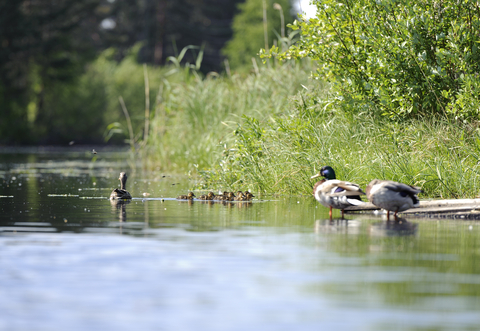 O nce when I went to Parliament Hill Lido I found myself at eye level with a pair of ducks swimming along beside me. I think in our increasingly technological and connected age time spent alone, away from the phones and machines, is important. ‘The thing most people are afraid of is the marine life, the fish, sharks and jelly fish but in fact these are the least dangerous aspect of diving’. I believe this says more about our fears of hidden depths and monsters lurking waiting to get us than any real danger. At least I think this is true. Some of the pike you can catch in those Swedish lakes are quite enormous and they do have lots of very sharp teeth but I don’t think a pike has ever bitten a person. I have never heard of that anyway. Have you? 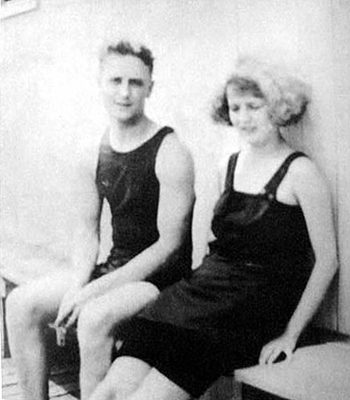 F Scott and Zelda Fitzgerald were keen swimmers and divers. 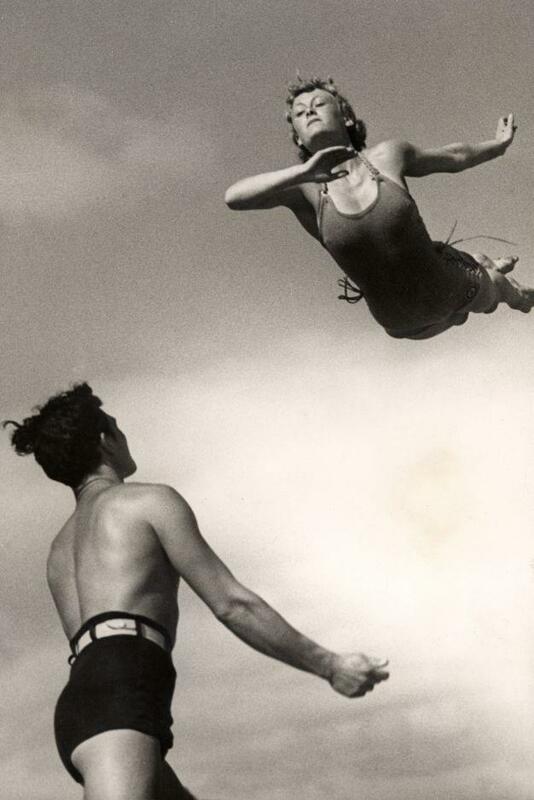 Photograph from the Dutch illustrated magazine ‘Het Leven’ (bathing issue), 1937. You used to see a lot of swallow dives, but nowadays you hardly ever do. This is partly because most pools have got rid of their diving boards and many are not deep enough. It is a shame, but I fear the swallow, or swan dive has had its day. 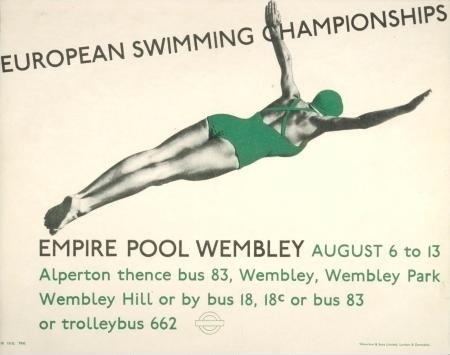 It seemed to coincide with the era of the Lido, of Busby Berkeley swimming extravaganzas, of Esther Williams, Johnny Weissmuller (Tarzan) and sweeping art deco architecture. 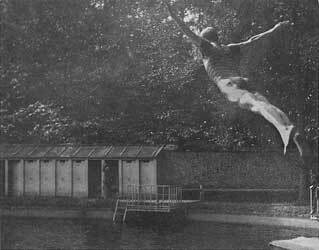 I am just old enough to have benefitted from the end of the swallow dive era and remember seeing many beautiful dives executed from the high diving board at our local pool. I remember that moment when the diver seems to hang in the air, swooping upwards for a second with arms outstretched before bringing them together over the head and hopefully entering the water with the smallest of splashes. I even on one spectacular occasion saw someone do one of these dives off a bridge into the Thames at Twickenham. I never did one myself. I didn’t have the courage or the skill. It seemed to be something that men and boys did to show off. I don’t know how they learned, I am quite sure most of them were never taught. They just plucked up their courage and copied one another. This photo taken in 1910 is by Jaques-Henri Lartigue – a wonderful photographer, who was ‘discovered’ at the age of 69, although he had been painting and taking photographs all his life.